A Sarnia musician is on the radar of two different major Canadian music competitions. 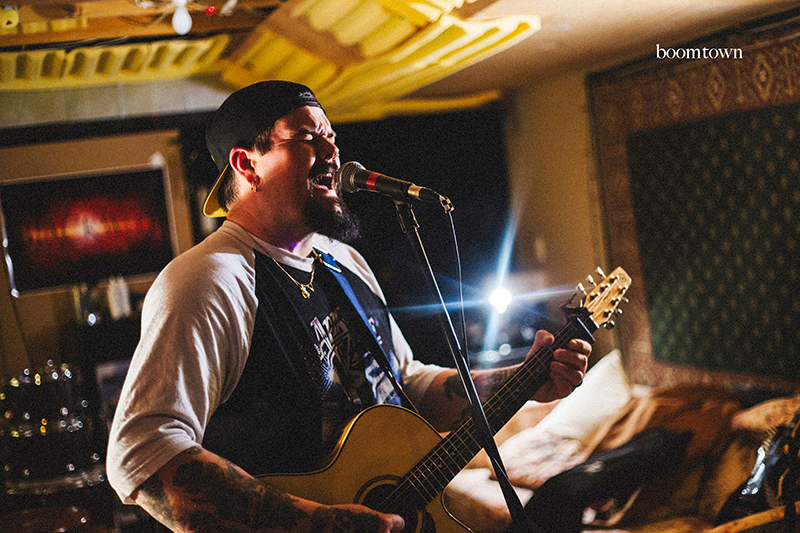 Country and blues singer-songwriter Cory James Mitchell was one of nine finalists named to the Canada-wide “Top of Country” competition, and is also in the running at the “Next Country Music Star” contest. The Sarnia barber was one of three from Central Canada who made the short-list for Top of Country, run by SiriusXM and the Canadian Country Music Association. The winning musician earns a spot at the 2018 Boots & Hearts music festival, $25,000 and a trip to B.C. and Nashville for songwriting workshops. The Top of Country contest had Mitchell and his Sarnia-based band — Mason Stewart, Jake Burton, and Griffen and Kelan Lindsay — travel to Toronto on March 28 to record a handful of songs, which will be released with behind-the-scenes video. Fans can view it and cast their vote at www.topcountry.siriusxm.ca. For the Next Country Music Star, Mitchell and company travelled to Peterborough on March 24 to perform in front of fans and Canadian country music brass in the first of a multi-round elimination. Mitchell’s five-song set earned a nod to the next round, which is scheduled for April 28. “The biggest prize is getting in the ears of people in the industry,” explained Mitchell, adding the winners will perform at the 2018 Havelock Music Festival, headlined by country star Toby Keith. Remarkably, Mitchell, 31, only began performing live last year when he opened for Sarnia folk-duo Evan & John at Paddy Flaherty’s. Before that he was a “bedroom musician,” recording videos for a growing audience on social media, until his wife convinced him to take the plunge and get up on stage. Mitchell describes his music as “Canadian country blues” but hopes his sound caters to a wider audience. His lyrics come from personal experiences and a deep respect for blue-collar workers, he said. Despite his newfound notoriety Mitchell, who works at The Woods Hair Salon, said he isn’t going anywhere soon. His latest album, “Something you ain’t ever seen,” is available on Apple Music and Spotify.